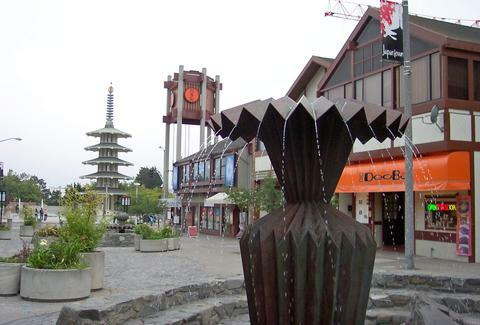 There's more to San Francisco's Japantown than a kitschy Benihana and the Kabuki spa. There's also... uh... cherry blossoms? Or something? Oh, right, and all the stuff on this insider-only list, which includes everything from photo booth Disneyland and Japanese-style fried chicken, to live-action room-escape games and Japanese pregnancy tests. First: happy hour. 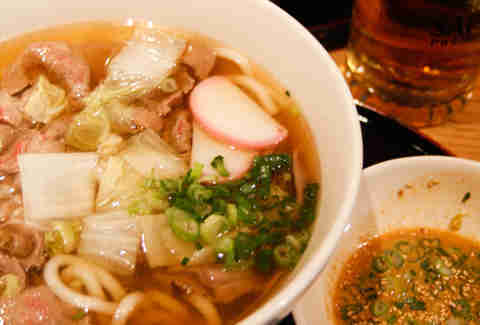 Tanpopo's goes from 5:30-7:30pm and includes $2 Sapporo or Kirin drafts. Win. 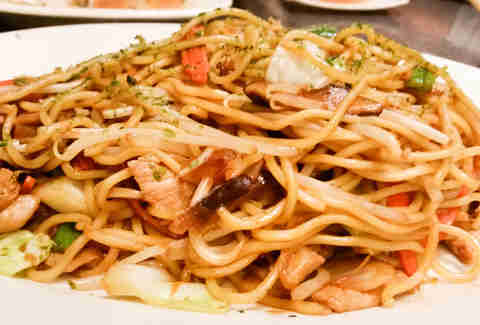 Second: the crowds love the ramen (especially the shashu), but the move is the yakisoba -- thick, saucy noodles with a spattering of mushrooms, carrots, and pork. Enjoy your noodles beneath fluorescent lighting with kooky Japanese TV on in the background, while you people-watch a long bar full of single Japanese diners, slurping their ramen solo. This place is essentially photo booth Disneyland, where the rides have been replaced by infinity booths that'll let you add hearts, crowns, hamburgers, and bunny ears to your clever "everyone look confused!" photo series. Japantown must. 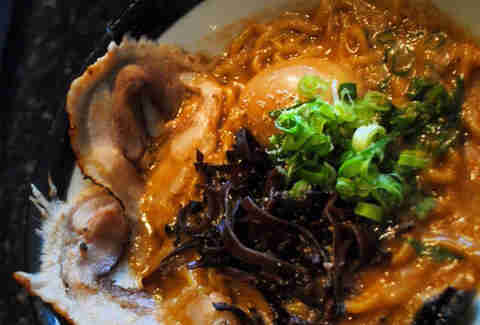 For a more upscale ramen experience, Waraku is your spot. Bring a date and enjoy the refined atmosphere (dark wood tables and romantic lighting) and a menu full of delicacies. The tonkotsu ramen is supreme (mmm... pork bone broth teeming with noodles, chashu pork, and a pickled egg...), as are the crispy Japanese-style fried chicken and takoyaki (fried octopus balls), but the must-hit is the tsukemen, a deconstructed ramen where you dip your noodles and toppings into a separate bowl of broth. 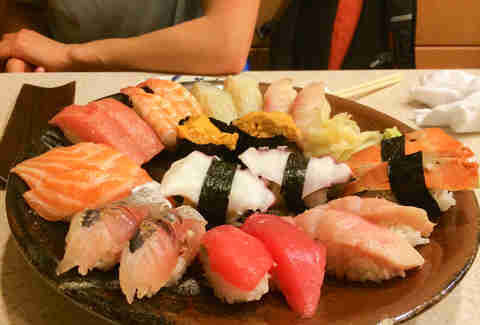 Ino is your best bet for omakase (chef’s choice), where you’ll get a plate filled with all the freshest sushi-ness, which is all super high quality. Bonus: the husband/wife who run the place will amazingly banter back and forth across the tiny restaurant in Japanese while you dig in. 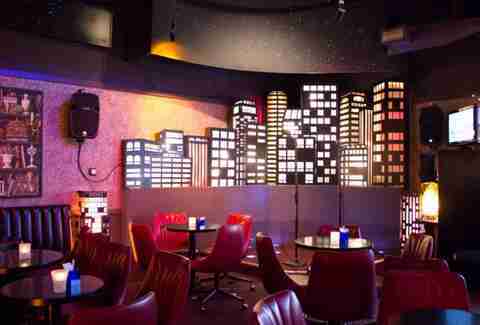 This is the scene for amateur karaoke, because who wants to belt out a sloppy, off-key rendition of Bon Jovi's “Livin’ on a Prayer” only to be shown up by a potential pop star? At Festa, you’ll feel at home among the cream of the indulged-in-one-too-many-lychee-martinis-or-saketinis crop. Every neighborhood needs a good dive bar, and Dimples is your J-town ticket. Descend the stairs into this temple of stiff drinks, private karaoke rooms, BYOF, and free bar peanuts, but be forewarned: someone will light up a cigarette inside. Udon Mugizo offers massive bowls of hot or cold, thick-cut noodles; the traditional varieties with beef or pork (like the Kobe beef, which comes with a peanut dipping sauce) are always a sure bet, but the daring can try uni cream udon, the Japanese version of rich Italian gnocchi. And yes, it's as delicious as it sounds. 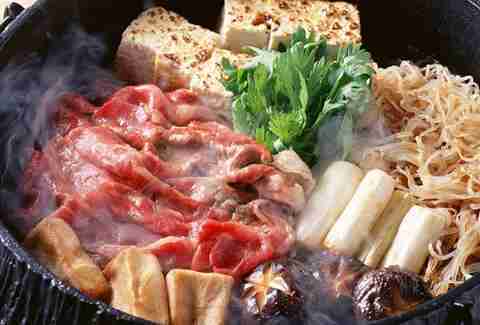 Protein is king at Shabu-Sen, so order up a plate of allllllllll the raw meat with veggies, and drop them into a scalding vat of broth that'll help you keep them as raw or well done as you like. Get in your R&R at Japantown’s acclaimed Kabuki Springs & Spa, where $25 gets you a dip in the communal baths and access to steam rooms/saunas. Strip down to your birthday suit on women-only and men-only days, or wear a bathing suit on co-ed Tuesdays. It’s as close to a traditional Japanese bath house as you'll get, which means no cell phones, no talking, salt scrubs, and hot tea. Belly Good isn’t for the faint of heart. 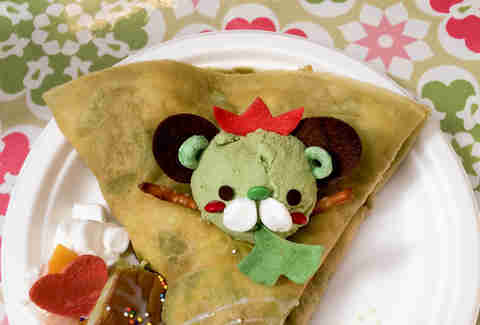 These crepes are filled with ice cream, whipped cream, chocolate, marshmallows, and syrups, then sweetened up even more with bear, cat, chicken, and monster faces. Like all crepes should be. 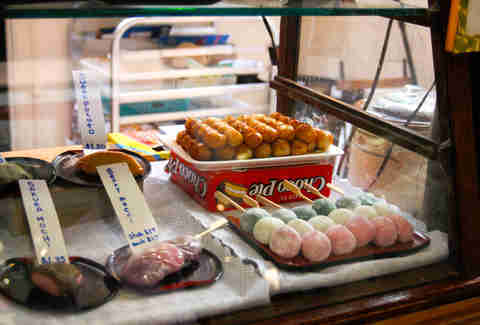 For authentic Japanese mochi -- think off-beat flavors like red bean, lima bean, kinako (soybean flour), and yomogi (an herb) -- this unassuming snack cart in the mall is your go-to. Get the kushi dango (red bean mochi), which is mild and almost savory. They come skewered on a stick in white, pink, and green so you can share with friends. Or not. Like with Benihana, a lot of Isobune’s appeal is in the presentation. 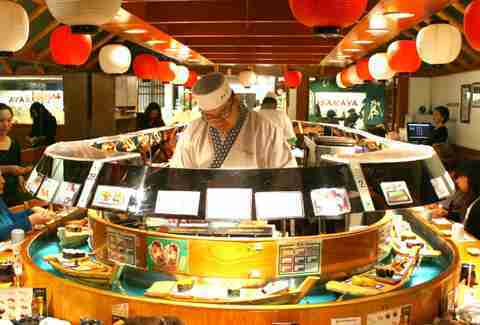 Conveyor belt sushi is given an upgrade in this intimate restaurant, where sushi slides along a water moat on cute little sushi boats surrounding the chefs. You’ll want to grab at all these boats, but pace yourself if you don’t want to rack up a huge bill. Go for the rolls over straight sushi and order from your server if you don’t see what you like floating by (honestly though, you will). This store is like SNL’s Stefon skit come to life. “This Japanese dollar store has it all... miniature Alice in Wonderland figurines, fake eyelashes, Japanese pregnancy tests, barf bags, loofahs, neck ties, chair socks, frying pans shaped like bears...” Everything in the store is a dollar fifty. Every. Thing. Intent on bringing all forms of Japanese pop culture to the US, this three-story emporium of tea, food, art, clothing, and games will greet you with the “Crown and Crumpet Tea Shop” -- a nine-year-old’s fantasyland complete with unapologetically floral tablecloths and pink pastries. Upstairs you’ll find “Alice and the Pirates,” a boutique stocked with doll-like, Victorian-meets-Japanime dresses covered in ruffles and lace, and on the third floor -- the “Real Escape Game” -- a Japanese live-action game where solving puzzles and finding clues help you escape from the room. Cheap plastic toys and quirky cartoonish clothing are fun, but for stuff that will impress your way-more-sophisticated-than-you friends, hit up Soko Hardware (Japanese for “San Francisco”). This stylish shop houses paper lanterns, dragon-shaped kites, elegant dishware, chopsticks, gardening supplies, hardware, and woodworking and cooking equipment. 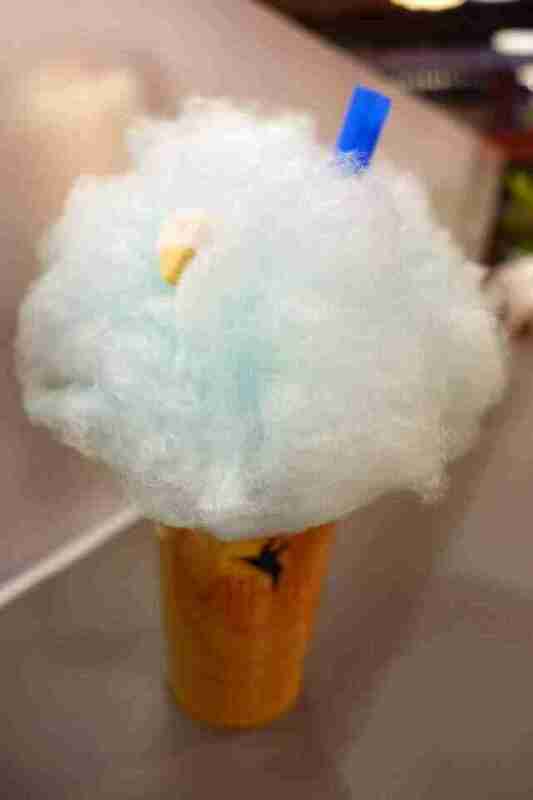 Mitsu doesn’t just do boba and milk tea -- they do boba and milk tea TOPPED WITH COTTON CANDY. Don’t be scared by the massive crowds that greet you when you walk through the front doors -- the goodies you’ll find here are worth the long lines, specifically the ready-made sushi and bento boxes. And the sashimi-grade fish. And the Kobe beef and short ribs ready for the grill. And all sizes and prices of sake. AND a million varieties of Asian mushrooms. ANDANDAND all your favorite Japanese snacks (think Pocky, Hi-Chew, and those little bears filled with chocolate). 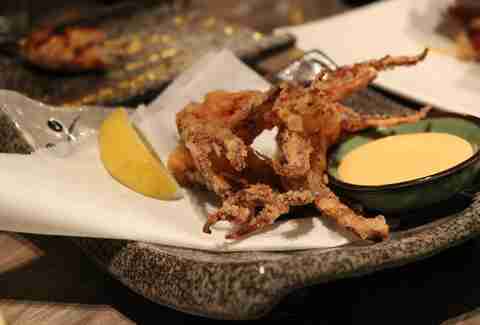 For the best izakaya cuisine in the area, venture beyond Japantown’s main drag over to Geary and Fillmore. Here, you’ll find a sophisticated dining room (the wood-paneled walls are a great backdrop for a date) and some awesome dishes like grilled whole squid, fried baby octopus, and skewered black pork sausage. The menu is massive, so take your time perusing its contents -- this is definitely a place where you'll want to go for the most unusual offerings. A tried and true spot for a hearty bowl of the good stuff, Shalala Ramen's... uh... ramen... comes in three sizes: small, medium, and large (so... large). 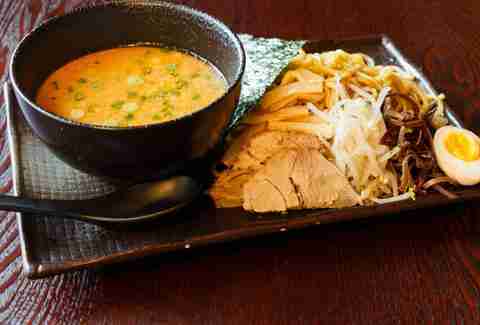 They specialize in miso broths at different spice levels (the miso is added to the tonkotsu, which makes a thick, rich, and slightly sweet broth), which is great because you specialize in adding egg and thin-cut pork to miso broths at different spice levels. Eloise Porter is an LA native but a San Francisco loyalist. She's a freelance food and beverage writer who likes booze, burgers, burritos, and bagels/lox (like a good Jew). Follow her food adventures at @eloisepporter.